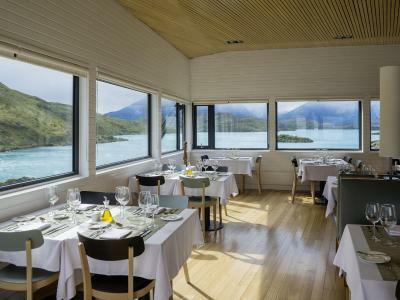 Lock in a great price for Explora Patagonia – rated 9.7 by recent guests! The variety of activities was appropriate for all levels, except for the totally sedentary. The horses, spa, and rooms were all great. Most of all, the staff were uniformly welcoming , engaging, and dedicated to giving their guests an unforgettable experience. Explora is in an amazing location with amazing staff. 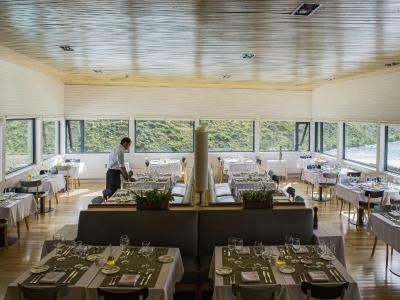 Food is beautifully prepared with great variety and the bed was the best we had in Chile. Explorations are varied and matched to your interests and capabilities. To us it was the experience of a lifetime. The views were surreal. It was so peaceful and stunningly beautiful. The staff was extremely attentive and made you feel welcome within seconds. I felt like I was in my own home. The breakfast was great. There was a buffet, and you could also order from a menu. 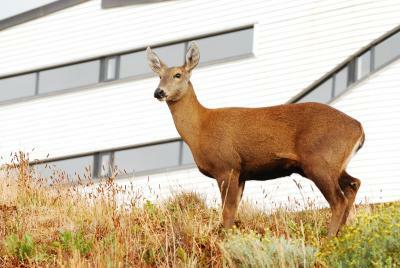 The location of the hotel is beautiful and convenient for hiking. The guides from the hotel were really great and informative, and the lunches provided by the hotel for the day hikes were really tasty and healthy. First impressions were great, our driver picked us up promptly from Punta Arenas for a 5 hour drive to the hotel. We stopped for brunch during the very pleasant drive enjoying stunning views. The staff were very welcoming on arrival. Kareen stood out and I later learnt she was the manager. Almost every one of the staff we interacted with gave 100% to ensure we had a good time. The tour guides were brilliant, very accommodating & tried their best tailoring activities as best they could to suit us. The food was good and healthy. The hotel was clean & was kept incredibly warm which was a huge bonus, especially the bathrooms. The hotel’s location was unbelievable! the pictures on the website is really what you see & no other establishment in the park had a better spot. We are not hikers but Explora made a wonderful adventure a lot more special for us by working with us and creating an unforgettable experience. Where to begin... What an incredible stay we have just had. 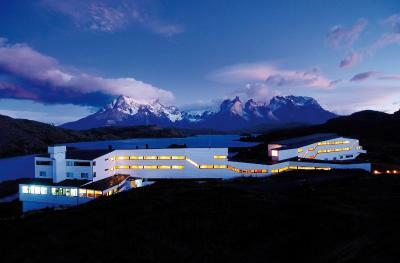 The hotel is located right in the heart to Torres del Paine national park. The view from the hotel is breathtaking. Right from the start the experience is fantastic. Wonderful staff. Beautiful room. Stunning views from every angle. The guides are amazing and help recommend the right activities for your interests. We did 3 full day hikes to complete the W. Challenging but well worth it. The landscape is incredible. You're looked after so well. We even had a table cloth and hot soup and coffee with lunch at the top of the mountain! Could not recommend this place more. Well worth the money. 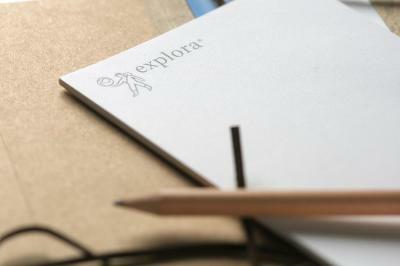 We had very, very high expectations - and somehow Explora managed to exceed them! The view from our room was spectacular (actually, it would be difficult to find a spot on the entire property where the views were NOT spectacular). Most important, the guides were terrific - knowledgeable, caring and enthusiastic. I wanted to take them home with me. My husband and I were joined by our daughter and her husband, it was great having so many excursions to choose from every day, with different levels of difficulty (always something for each of us). Trip of a lifetime! Wonderful time spent in Explora. 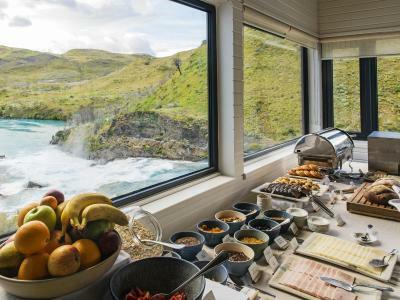 I highly recommand this hotel if you are looking for amazing staff, excellent food and wine, and a fantastic hotel with a speechless view on the mountains and the lake. Best hotel ever !! It worths every penny. Thanks again !!! We will certainly come back! Loved the exclusivity of the property and the views. Simply the best views you will find. Staff were great. Tour guides exceptional. 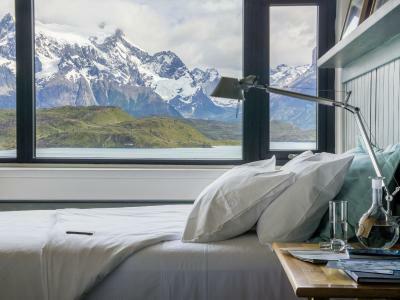 Explora Patagonia This rating is a reflection of how the property compares to the industry standard when it comes to price, facilities and services available. It's based on a self-evaluation by the property. Use this rating to help choose your stay! 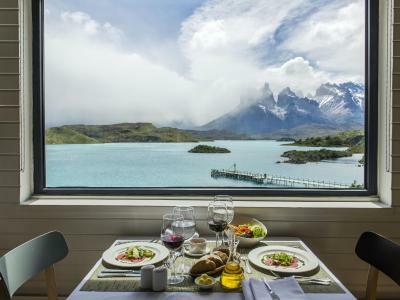 Located inside Torres del Paine National Park, by the shore of Pehoé Lake, Explora Patagonia offers all-inclusive packages for 3 nights or more. Some rates include all transportation, meals, beverages and a choice of more than 40 explorations to the park and surroundings either by foot, horse-back riding or vehicle. 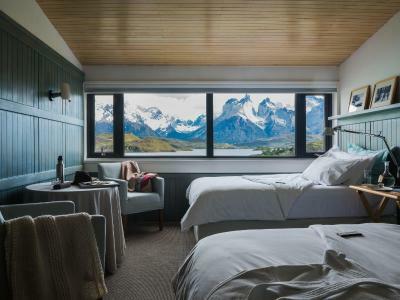 Each room here features breath-taking views of the Torres del Paine massif and the Salto Chico waterfall. They are all fitted with a private bathroom, a safety-deposit box and heating. Free WiFi access is available in the common areas. Guests staying at Explora are welcome to use the heated pool, sauna and the outdoor hot tubs, located steps away from Paine River. In addition local flavors can be enjoyed at the dining hall. 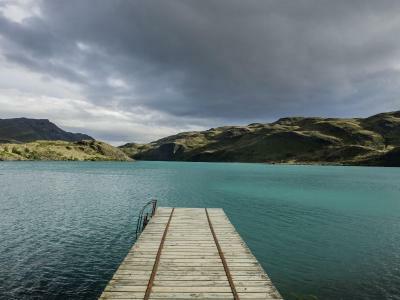 Explora Patagonia has its own catamaran that can be used to cross the lake. 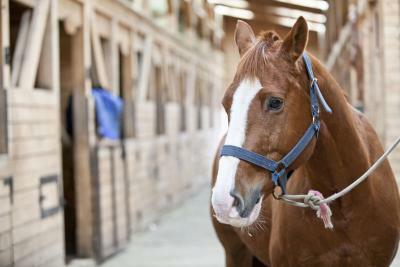 Additionally, the hotel has a stable in which special horses are bred for exploration in the area. 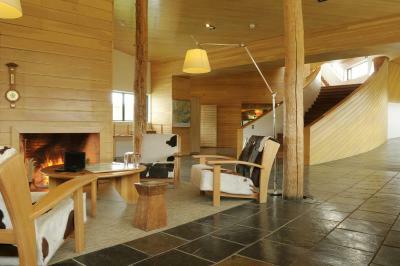 The property is located approximately a 2-hour drive from Puerto Natales and a 5-hour drive from Punta Arenas Airport. 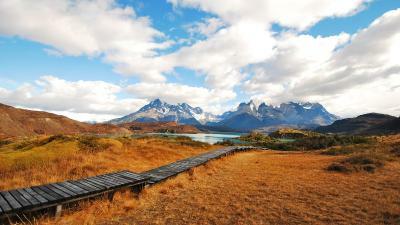 This property also has one of the top-rated locations in Torres del Paine! Guests are happier about it compared to other properties in the area. 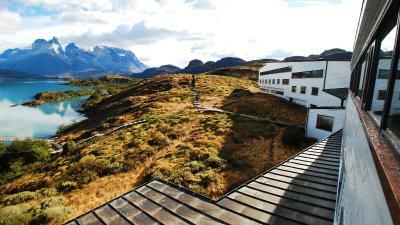 This property is also rated for the best value in Torres del Paine! Guests are getting more for their money when compared to other properties in this city. 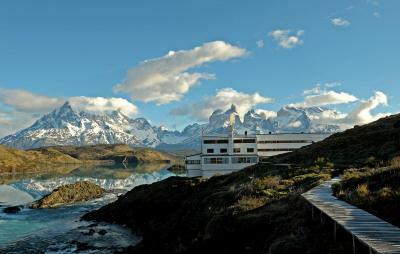 When would you like to stay at Explora Patagonia? Superior room fitted with a private bathroom and great views of Paine Massif. 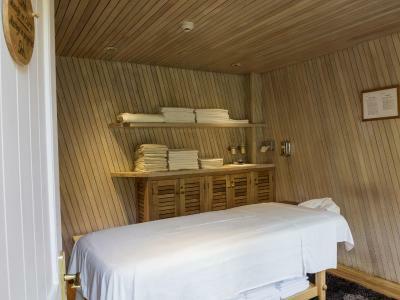 This room is fitted with a private bathroom and offers a great view of Pehoé Lake. 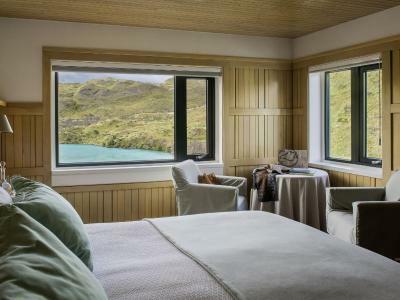 The Deluxe Exploradores Suite is fitted with a king-size bed, a private bathroom with a personal hydro-massage tub and great views of Paine Massif and Pehoé Lake. 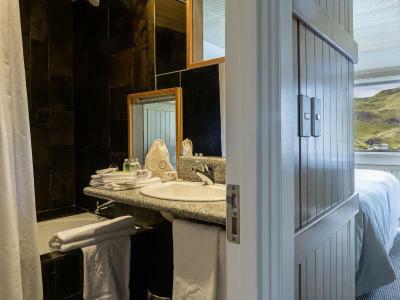 This superior room has a private bathroom. Views of the Paine Massif. -The transfers have to bee coordinated with the hotel, and prices may vary depending time, date and place. The same will apply for the return. 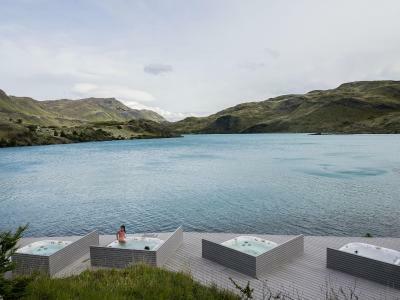 Anchored like a white ship on the shores of turquoise Lake Pehoé, explora Patagonia's unique location sets travelers literally in the middle of Torres del Paine National Park, while greeting them with award winning architecture. Our over 50 different guided hikes and horseback rides offer our travelers breathtaking views of glaciers, lakes and mountains. 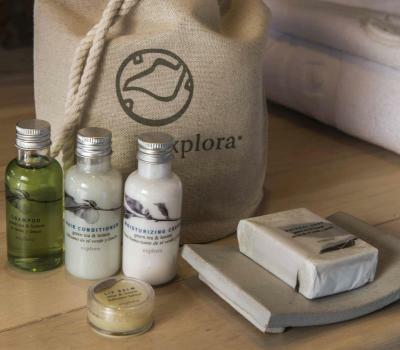 House Rules Explora Patagonia takes special requests – add in the next step! All older children or adults are charged USD 280 per person per night for extra beds. 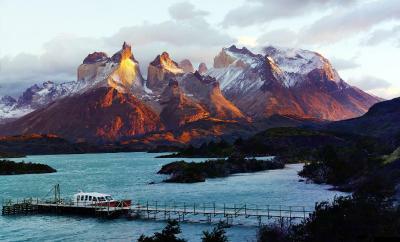 Explora Patagonia accepts these cards and reserves the right to temporarily hold an amount prior to arrival. Please note the property offers all-inclusive packages which are available for 3 nights and above. Please consider this when searching availability. If making a reservation during summer season, availability must be searched for in intervals of 4 nights (starting on November 15th, 19th, 23rd...subsequently until March 3rd). 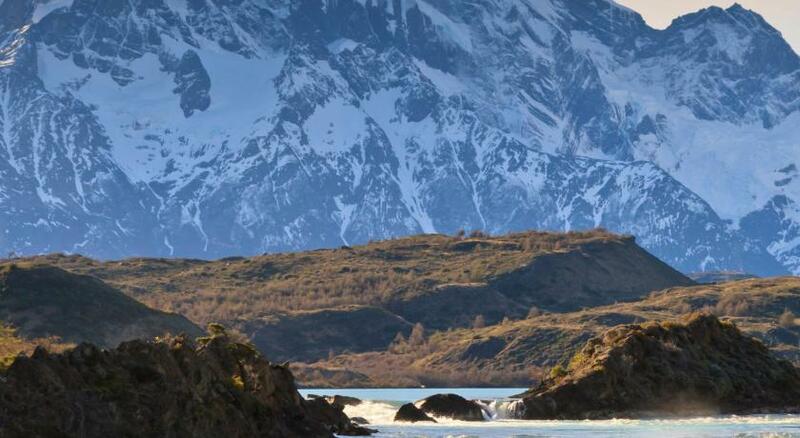 Please inform Explora Patagonia of your expected arrival time in advance. You can use the Special Requests box when booking, or contact the property directly using the contact details in your confirmation. This is, by a factor of two, the most expensive property we’ve ever stayed at. The extras, particularly the five hour airport pick up and drop off service compensated somewhat for this, and the all-inclusiveness, with hikes , knowledgeable guides, spa, and horseback activities, also helped to make it worthwhile. Some humidifiers would be welcome for guests sensitive to dry air. I got around that by slightly opening the windows. Honestly, as hotel owners ourselves. I couldn’t fault them. Nothing. Perfection from start to finish. Everything was perfect. Just be sure to read the suggestions for clothing - you will definitely need layers! Until we worked out the switch for the heating (which wasn't shown to us) in our room, the room was far too hot! Maybe a auto temp can be set? 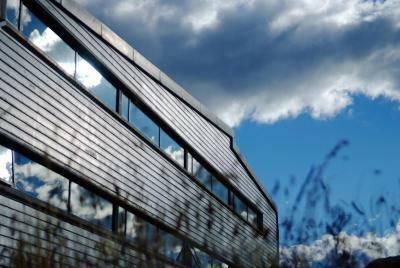 This is my second Explora property - they run an amazing operation. Great food. Fantastic excursions. Everything is absolutely first class. This property also benefits from being the only luxury hotel in the middle of the park - which mean our drives were always short! More time to hike and less time in the car. We have already scheduled our return trip!